Laurie Levy and Jennifer Bell continue their discussion about homesteading in Willow Creek, CA. From maintaining an abundant plant nursery to raising bees and rabbits, Laurie shares some of the challenges and delights of raising great food on just a few acres. Jennifer Bell and Laurie Levy from Flying Blue Dog Homestead and Nursery talk about sustainable agriculture, homesteading, backyard butchering, regenerative agriculture, small livestock and recipes. 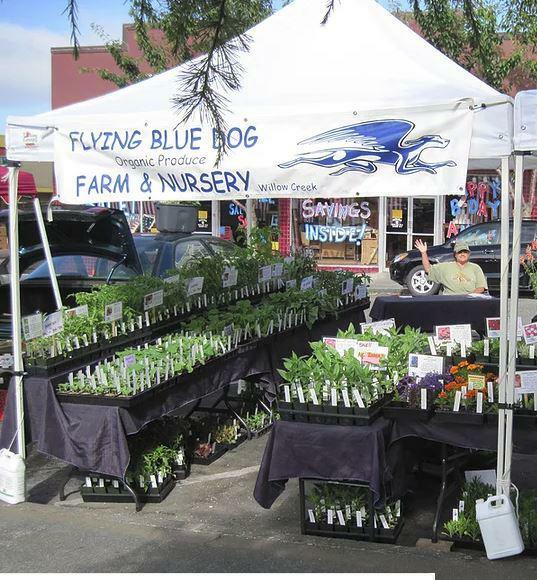 Located in Willow Creek, Flying Blue Dog offers veggie starts, culinary, tea, medicinal and unusual ornamental plants, many of them forgotten heirloom varieties, endangered or rare... and, of course, they raise animals too. Jennifer Bell continues her visit at Marcelene Norton's Quail Run Farm in the Hoopa Valley. Marcelene and Jennifer talk about intergenerational sharing of Native traditions and food security in Hoopa.